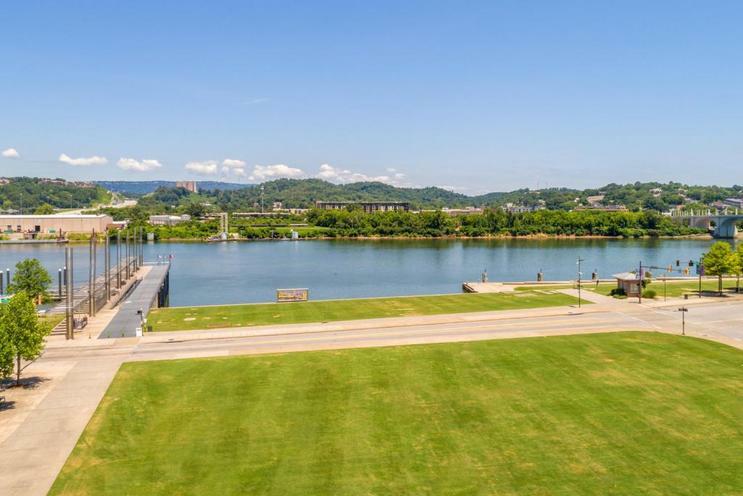 Investing in a lifestyle was never more true than when you call home River Pier in downtown Chattanooga overlooking the the gorgeous recreationalTennessee River. 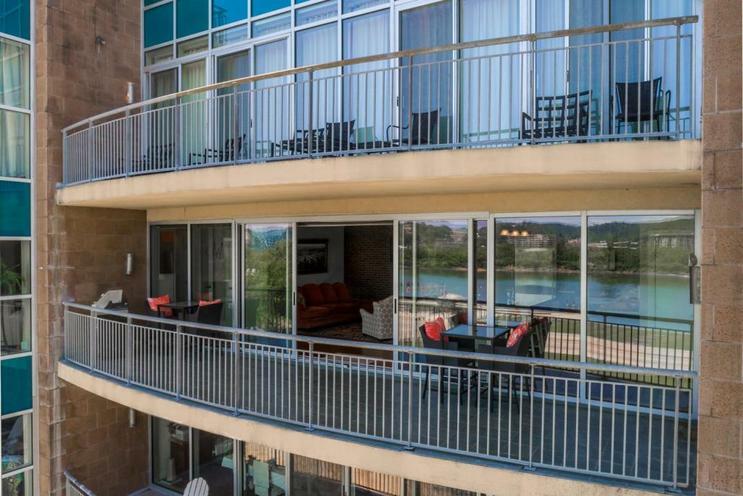 Featuring the most expansive covered balcony overlooking green space below and big water views. Get ''up front and personal views'' of the Coca Cola stage performances during Riverbend week without leaving home and protected from sun or rain is just one of the thousands of perks of conveniences offered. 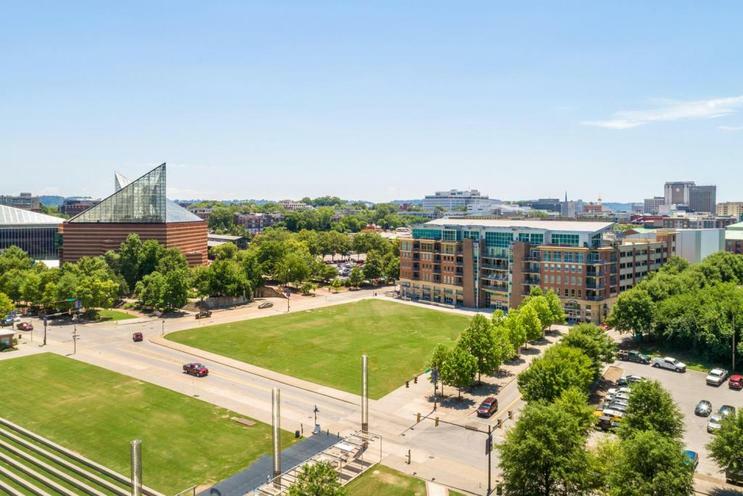 Located above such local favorites as Hennen's Restaurant, The Blue Pate and Cold Stone Creamery while flanked by the Chattanooga Aquarium and the Lookouts ATT&T Field and only seconds & minutes of multiple other top tier local restaurants, shops and recreation. Walking and biking to work and play becomes a realistic option.With open flow from entry to end, this 3 bedroom/2.5 bath one story condo offers a big urban lifestyle with the most well designed use of space. Master with completely renovated bathroom to include oversized shower and customized closet is located on the opposite wing from the guest bedrooms with open living area, kitchen and balcony central to all. 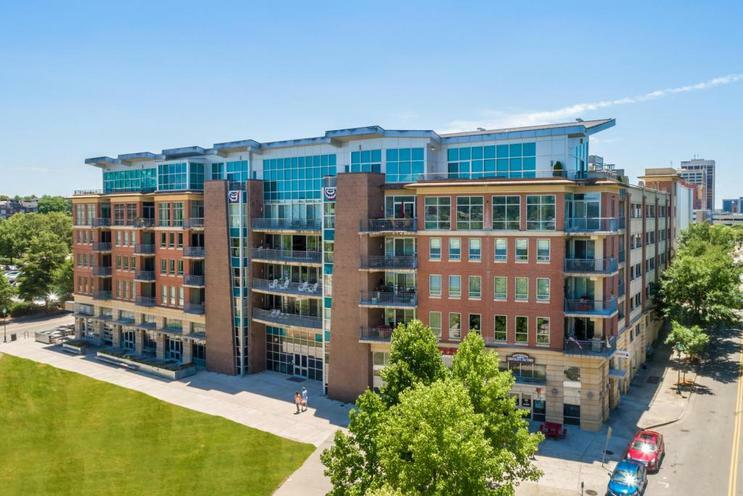 With all the conveniences of your suburban home to include separate laundry room, drop zone for all life's essentials and plenty of parking opportunities which is premium when home is downtown, unless that home is River Pier. Third bedroom is the perfect office, den or music/media room with Murphy bed overlooking the river and with shared bath to second guest bedroom. Heart of pine hardwood floors set the tone for casual living at its best with updated kitchen and furniture quality cabinetry by a master furniture maker, expansive work and serve island, gas cooking and more cabinet storage than most 5000 SF homes. 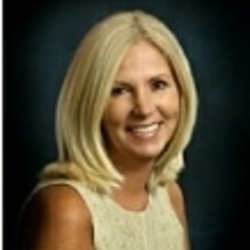 Enjoy all of the quality, amenities and views offered in multi-million dollar properties. Scale down the size of your home maintenance and step up quality and time to a richer lifestyle.